Scenario #2 – For the binge-watcher: If your weekend plans involve catching up on your favourite TV series, you’ll want to make it interruption-free. To play the videos continuously, hit play and all subsequent videos will play automatically, just as the site intended. This will apply to all streaming sites including Netflix, Hulu and YouTube. To continue to autoplay from the first video, you should add those sites to your permissions list. 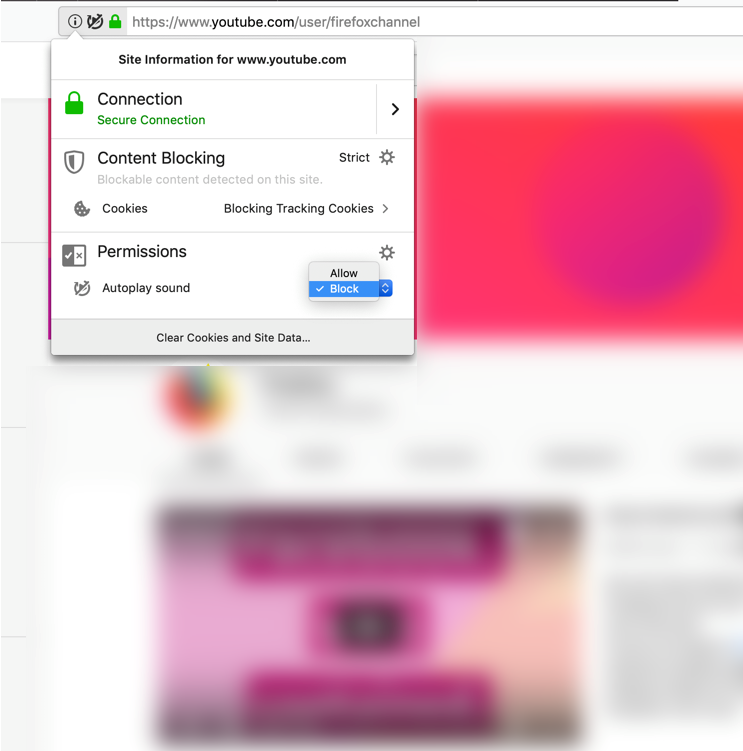 To enable autoplay on all your favourite websites, add them to your permissions list by visiting the control centre — which can be found by clicking the lowercase “i” with a circle in the address bar. From there go to Permissions and select “allow” in the drop down to automatically play media with sound. Keeping you safe with easy-to-understand security warnings – Whenever you visit a site, it’s our job to make sure the site is safe. We review a security certificate, a proof of their identity, before letting you visit the site. If something isn’t right, you’ll get a security warning. We’ve updated these warnings to be simple and straightforward on why the site might not be safe. To read more about how we created these warnings, visit here.